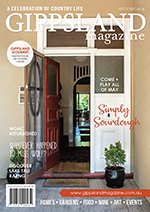 The spring edition is now available! 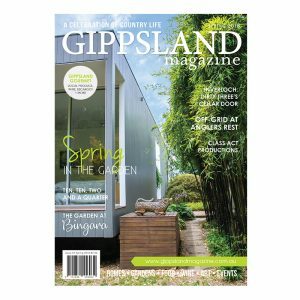 This issue includes our annual ‘Spring In The Garden’ feature – with all the local garden related news and events. We visit an enviable garden in Yarragon South, meet the people behind Ten, Ten, Two and a Quarter, explore an off-grid home in the high country, very much enjoy a visit to Dirty Three’s Cellar Door in Inverloch, meet artists Meg Hayley and Nick Perrin, discover a delightful little boutique in Inverloch, learn about the history of Latrobe Valley Buslines, and are entertained by a talented bunch of youngsters from Class Act Productions. 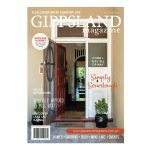 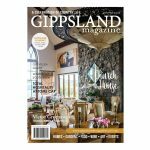 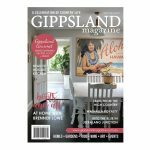 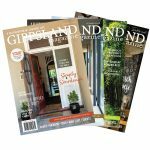 PLUS our usual Gippsland Gourmet section with recipes, escargot, wine news, events and more; AND an absolute abundance of local events, news and more.